The Consortium for On Board Optics (COBO) has adopted a two-piece surface mount connector system based on Samtec’s FireFly Micro Flyover System for the next generation of standardised on-board optical modules. 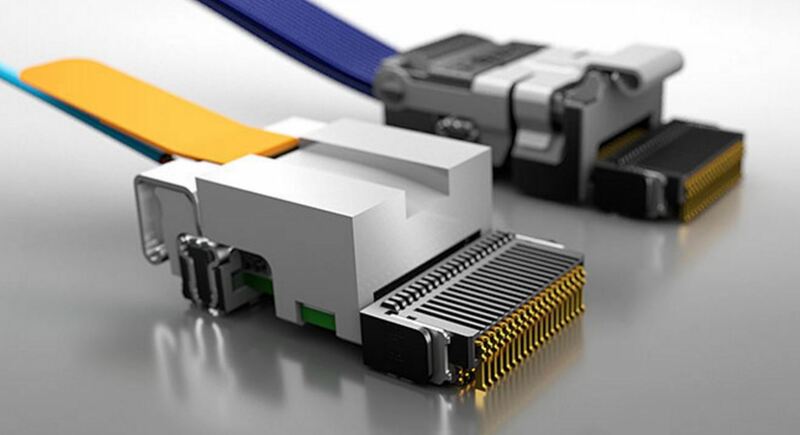 As part of the new miniature footprint, the Firefly connector reduces the size of on-board optical modules while increasing port density in data centre and high performance computing (HPC) applications. The connector was also selected as the proposal for the Power/Control connector for all low speed signals on x8 and x16 lane full-duplex options of the COBO modules. The built-in positive latching capabilities of the new connector enhance ruggedness in on-board optical modules. The consortium has been operational for two years and has over 45 members including Broadcom, Cisco and Intel. It was set up to develop a set of industry standards to facilitate interchangeable and interoperable optical modules that can be mounted or socketed on a network switch or network controller motherboard. Modules based on the COBO standard are expected to reduce the size of the front-panel optical interfaces to facilitate higher port density and also to be more power efficient because they can be placed closer to the network switch chips. "It's an honour for Samtec to be selected as a part of COBO's next generation of standard on-board optical solutions," said Jignesh Shah, Senior Product Architect at Samtec. "The FireFly Micro Flyover System exemplify Samtec as a technology leader in high-speed interconnect and on-board optical module design."